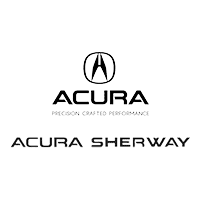 There’s never been a better time to get into a 2019 Acura. Save up to $6,500 or get rates from 0.9% until April 1, 2019. See below for details. 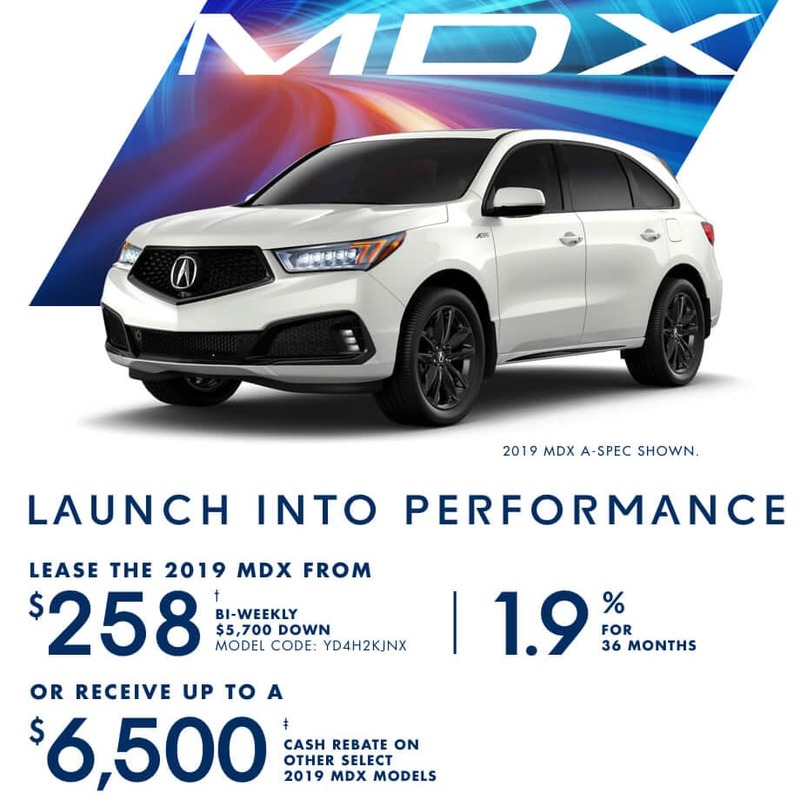 Get up to $6,500 in cash savings or lease the 2019 Acura MDXfrom $258 bi-weekly at 1.9% for 36 months OAC. Some conditions apply. This offer ends on April 1, 2019. Book your test drive today! 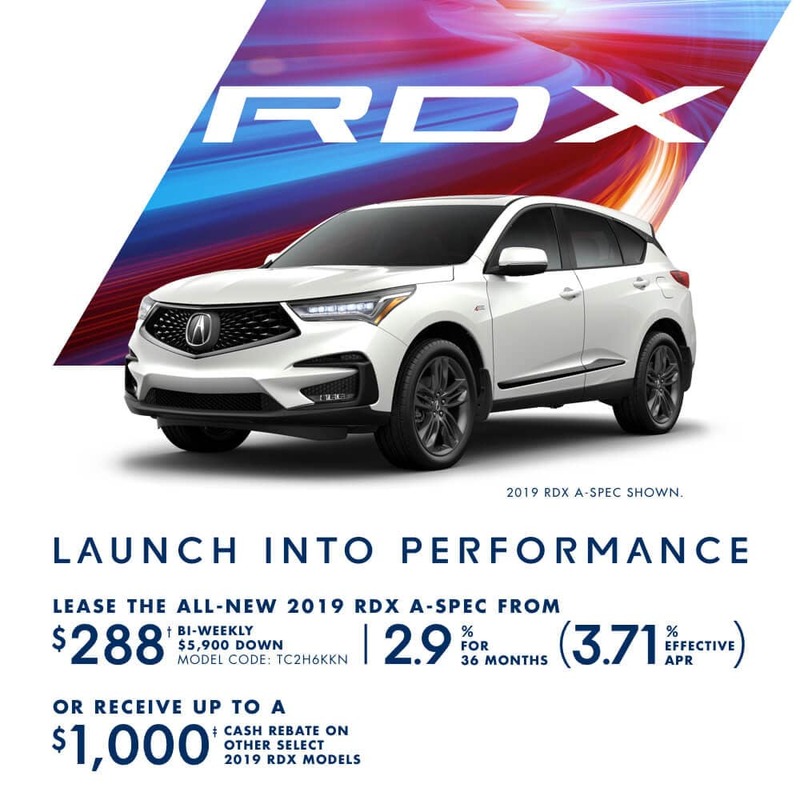 Get up to $1,000 in cash savings or lease the 2019 Acura RDX A-Spec from $288 bi-weekly at 2.9% for 36 months OAC. Some conditions apply. This offer ends on April 1st, 2019. Book your test drive today! 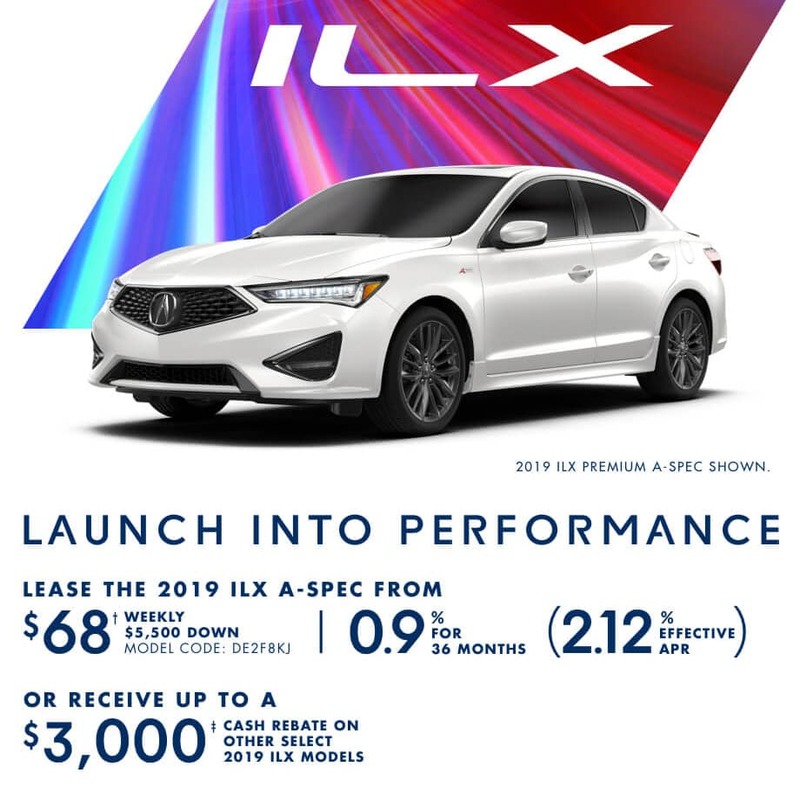 Get up to $3,000 in cash savings or lease the 2019 Acura ILX A-Spec from $68 weekly at 0.9% for 36 months OAC. 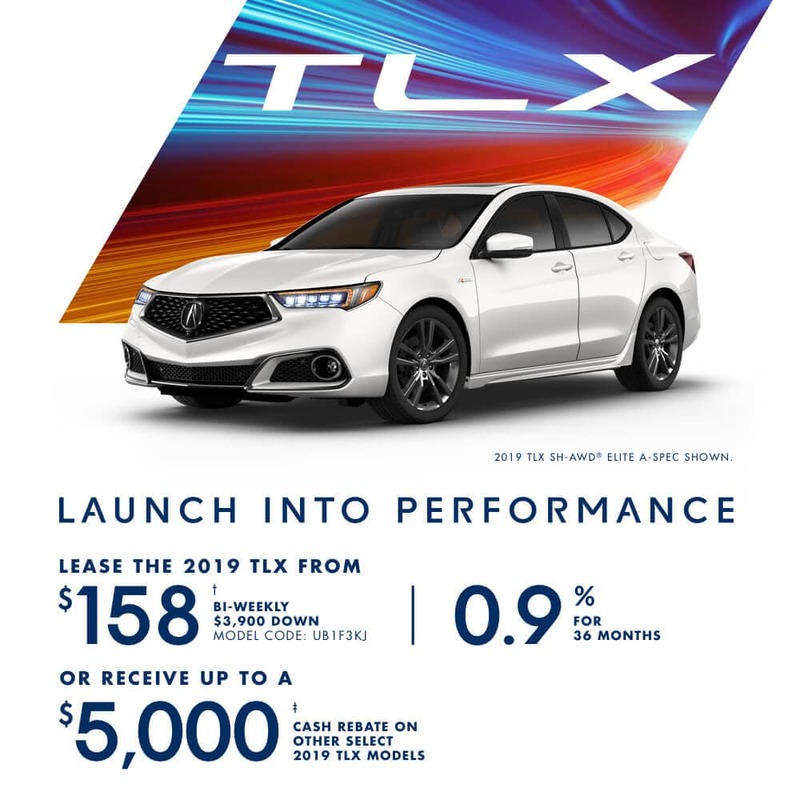 Get up to $5,000 in cash savings or lease the 2019 Acura TLXfrom $158 bi-weekly at 0.9% for 36 months OAC. Some conditions apply. This offer ends on February 28th, 2019. Book your test drive today!